In April of 2015, the nation of Nepal was devastated by a major earthquake that left thousands dead and tens of thousands homeless. Because of our long-standing relationship with the country, Teach All Nations immediately sprang into action to first visit the nation to see how we could best assist our brothers and sisters in their time of need and then to raise support to help them rebuild. As a result, we were able to rebuild a number of churches and homes during the months following the earthquake. Our plans were to revisit the country in April of 2016 to dedicate the new buildings on the anniversary of the loss; unfortunately, Delron fell ill just before the departure date. Fortunately, Fred Taylor who had traveled with Delron to Nepal and other countries on several previous occasions was able to fill in and minister at all the meetings and dedication services. Although you will read in the following report from Fred that he traveled eight hours to reach one construction site and seven to reach another, there were even more remote areas that he was not able to visit. The generous response from our donors allowed Teach All Nations to complete eight different projects – only five of which Fred was able to visit. Additionally, we had to either purchase land or make long-term leases for property for some of the projects since most of the churches and homes that we rebuilt were actually in rented facilities. Since most churches in Nepal are simple one-room sanctuaries, our projects included some “extras” that might be considered commonplace in America church but are actually innovative additions there. 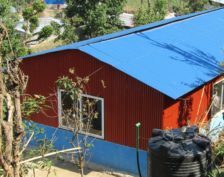 For example, we built in two toilets and a shower at the church Charikot and in the church in the Kathmandu area we constructed three extra rooms that are being used for classes and children’s ministry. Also in Charikot, we built a three-room home for the minister who not only pastors the local church but also oversees eight addition congregations. We also constructed a two-room house for a needy family and a four-room house with an inside bathroom for another pastor. Other projects that Fred was not able to visit included two churches and a home for an evangelist in the region near Tibet. Since the brickmaking machines that we purchased to convert rubble from the buildings destroyed in the earthquake into usable earthquake-resistant bricks were sent to this region, Fred did not get a chance to witness that significant aspect of the relief project. What a joy it was to be with the brothers and sisters in Nepal again! I hadn’t seen them since my last visit in 2006. I began the ministry by teaching in a Saturday morning service at Pastor Prem’s church in Kathmandu (Nepal believers meet for church on Saturdays instead of Sundays). The people were very receptive to the Word of God. After lunch, we met again in the afternoon to talk about true discipleship. My host Ravi, who has a real passion for seeing discipleship in Nepal, spoke along with me during the afternoon sessions. The next day we began our journey to the mountain village of Charikot. 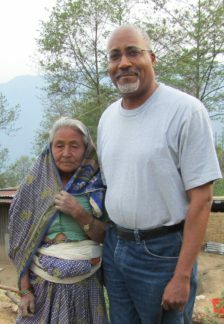 But before leaving the Kathmandu area, we stopped to see Pastor David and his new home. His house was destroyed during the earthquake last year and Teach All Nations had donated funds to rebuild it. The trip to Charikot took eight hours by car up winding, twisting roads, reaching some eight thousand feet up at certain points. I was told the trip usually takes about six hours, but due to a broken down vehicle ahead of us and a rock slide that partially blocked the road it lasted a bit longer. A conference for pastors had been arranged by Pastor Sati at his church. On the way to Charikot Pastor Sati had us stop and meet a dear saint in the Lord who had become the first Christian in her village when she was younger. As a young believer she was severely persecuted for her faith. As she told us her story I was struck by her peace and deep gratitude to God for all He had done for her. She spoke with a strong voice and her passion for Christ was still unwavering. I discovered she had helped establish ten churches in the area and, as a result, is known by everyone in her village as well as the surrounding area. When we finally arrived at Charikot we began teaching the next day. Many had come from long distances to participate in the conference. I taught on what true faith in God really is. Ravi shared about discipleship during one session. After the last service of the two-day meeting, many received the gift of the Holy Spirit. salvation two of the women wept afterwards. Some people who go to church in Nepal still have no personal experience of Jesus as Savior, they have simply switched from observing the rituals of Hinduism to observing the rituals of Christianity. For some, having a personal faith in Christ and forsaking their former life has not been fully explained to them. At the conclusion of our time at the school on the second day, one of the students said before the class, “I feel so much more hopeful.” That afternoon after our last meeting at the Pokhara Bible School we met with the board and presented them with scholarship donation on behalf of Teach All Nations. They were very appreciative. By the time we were ready to leave Pokhara the weather was much better and we were able to fly back to Kathmandu. The next morning I spoke at two different churches, one was pastored by Dr. Mongul of “Koinonia Patan Church,” the other was at Gyaneshor Church. In the afternoon I visited the Deen Mitra Youth Center, a ministry started by my friend Joshua whom I met on my first visit to Nepal. I spoke briefly to the young people there about how God has a purpose for their life. The Nepali youth are really searching for answers. Many are tired of the Hindu religion and are seeking spiritual reality. The next day I spoke at a morning dedication service for Pastor Modius at Gethsemane Church. Their building was destroyed during the earthquake last year, but it had since been rebuilt thanks to Teach All Nations. After I finished ministering I asked the congregation how many of them needed prayer for healing. Many raised their hands, so I prayed a general prayer for healing over them. Afterwards I asked how many noticed that their pain had disappeared. Several raised their hands as we clapped and thanked God for His healing grace and mercy. After lunch, I spoke again for a couple of hours until late afternoon. Again, their hunger for the things of God was astounding! Lastly, before my scheduled flight to return home, Ravi organized an informal meeting with pastors who wanted to hear more about discipleship and developing spiritual maturity in the Nepali believers. 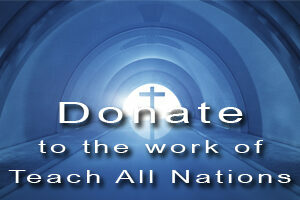 Many of them expressed a passionate desire to see God move in the church. God willing, when I return to Nepal I hope to see much fruit from their labors. Thank you for sharing on Nepal; I came across your ministry through Andrew Wommack (Charis Bible College). I have a great interest in Nepal, I believe this is from the Holy Spirit. About 4-5 years ago, I came across a article on Nepal from a missionary magazine and ever since I have wanted to get in contact with a ministry that goes to Nepal. I believe you may be that ministry. 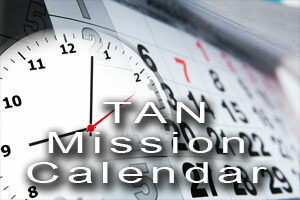 I will be praying for Nepal and I will look forward to going on a missions trip there if your ministry should go again.